Citroen kicked off its 191 registrations push on November 1st, when it started a ten-day event dedicated to its PureTech petrol engine models. All of the cars showcased in the nationwide event will come with three years' free servicing, 'scrappage' and deposit contributions and some low-interest finance packages. According to Citroen Ireland, Irish demand for petrol power has gone up to 39 per cent of all vehicles this year, compared to 29 per cent the year before. The French brand humblebrags that this move puts it in a good position, as its PureTech line-up has won International Engine of the Year awards four years in a row. Speaking about the PureTech engines, Pat Ryan, Managing Director, Citroen Ireland, commented: "We expect demand for our Citroen petrol engines to increase further in 2019, especially with the recent announcement of the one per cent VRT levy on diesel and the move to Euro 6.2 engines. So with our award-winning PureTech engine we are very well positioned to offer customers a very efficient and refined driving experience." 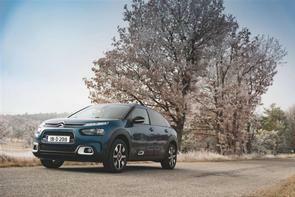 Citroen is pushing petrol power across its range, with special emphasis on models that might previously have been the preserve of diesel power, such as the C3 Aircross small SUV and the C4 Spacetour (neé Picasso) MPV. The line-up of 1.2-litre petrol engines, both turbocharged and naturally aspirated, are also available in the likes of the C3 hatchback and the recently-updated C4 Cactus. All models now come with a five-year unlimited mileage warranty, too.